Update Oct 4 2018 : modified a bit the design of the body to make the thin parts at the bottom a bit stronger and added an optional support to attach a BLTouch sensor (offsets from nozzle +32mm on X and -2mm on Y). 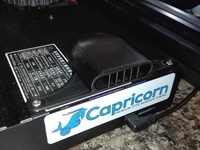 Part cooling fan is now attached by M3 screws and the fan shroud is attached by 2 screws to be better secured. This is an my Bondtech BMG + E3D v6 Print Head aka The Tank used by my friend Tom Jackson (@FilamentFrenzy) on his Creality CR-10. All pictures courtesy of Tom Jackson. Fran shroud is from the Prusa i3 Mk3 (slighly modified). There are currently minimal instructions here on how to put the print head together.  Do not venture in this mod if you are not comfortable tinkering with your printer. 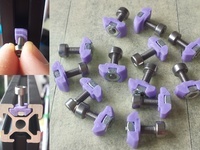 You don't loose any print volume with this print head provided that you move your Y endstop 8 mm forward. 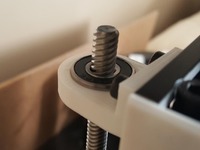 Simplest way to do the wiring is to use your stock hotend, cut the wires (hotend fan, part cooling fan, thermistor) and reconnect them to the new fans and thermistor. 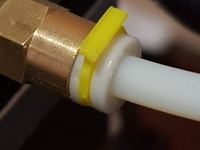 If you use 2pins male-female dupont connector to have something dismountable, the "Stepper spacer and cable holder" part has a space to hold them securely with zip ties. You can re-use the stock heating cartridge.